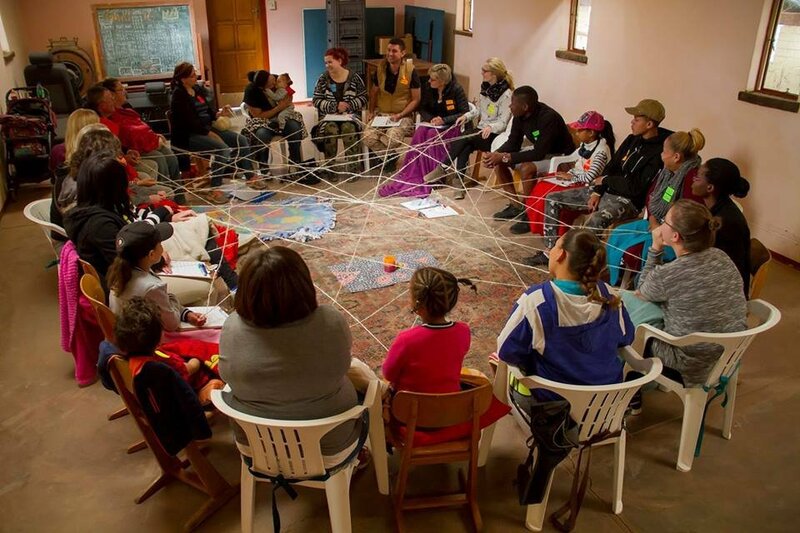 Meerkat Family Workshop - a support group with a difference! Thanks to most generous donations by loyal donors of Okanti Foundation, we are able to host our unique one-day 'Meerkat Family Workshop' regularly. This unique workshop is a support group with a difference; *FREE* of charge and the whole family or individual members of an affected family are welcome to join. To allow for thorough preparation, registration is required for all workshops - it is not an open event. We will cater for all age groups to the best of our ability. A registration fee of *N$50 per person* is payable, refundable on the day of the workshop. If a person cannot attend, the N$50 will be forfeited to cover venue/catering obligations. Registration closes 5 days before the event. Details of the venue in Windhoek will be announced to all registered participants. 2017 marks the *10th* anniversary of Okanti Foundation and it is fitting that our family workshops have become regular events on the annual calendar of Okanti Foundation's activities from this year onwards. The family workshop was offered five times already - with great success: once in Swakopmund, as a trial run in October 2013 and twice in Windhoek in February, July, October 2017 as well as in February 2018. It is aimed at bringing families together who have - in principle - similar worries and burdens due to a chronic illness, an organ transplant or special needs in the immediate family. Families can share their experiences, sorrow, anger, fears and frustrations but also their joys, blessings and strengths with each other, thereby joining a valuable support network. In addition, every workshop will be enriched by an expert in a certain field: for example in communication; trauma & other counselling; healing on many different levels; relaxation techniques or even in a most practical field, like finances, time management & life skills, for instance. This expertise is aimed at broadening our horizons; providing access to the enormous knowledge base around us and assisting us families in growing spiritually as well as emotionally on our difficult journeys with chronic illness, organ transplants or special needs. The workshop is based on interactive group work. if numbers warrant it, a separate group for grandparents, (adult) organ recipients and/or organ donors. Every group has its own needs, worries and challenges and these can be voiced in a like-minded group to allow honest sharing as well as healing. Every group has one or two facilitator(s). The last session of the day will be 'feedback & closure': reflection on the day, formal feedback so that the workshops can improve continually, settling of emotions before going home and back to our everyday lives with hopefully renewed energy and hope. Between each session there will be a break with refreshments. Around midday, a light lunch will be served. A paramedic will be on duty if the workshop is taking place outside of town; to enable peace of mind. Refreshments for the first tea/coffee/water break; i.e. juice plus cookies/cake/sandwiches. If every family brings enough for themselves, we can all share. The workshop is limited to 30 persons, including facilitators.